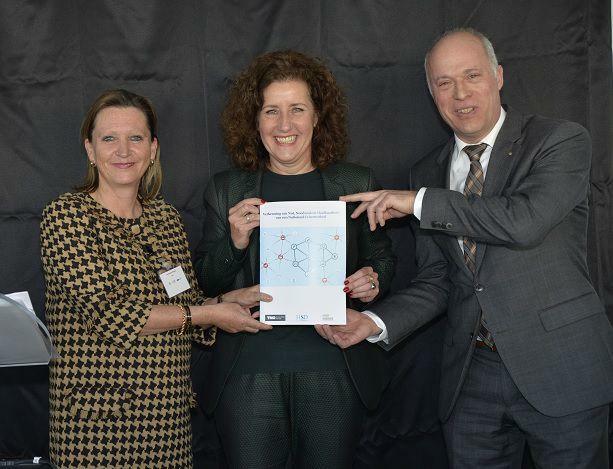 On 14 February 2017, during the presentation of the results of the investigation for a National Cyber Testbed, it was announced that KPN, TNO and the Municipality of The Hague support the initiative for the development of a National Cyber Testbed. They underlined the importance of a testbed and will be the first to invest in developing concrete applications. The ambition is that more parties will join. The test center will provide answers to various aspects of cyber threats, with the focus on 'Smart Cities' and ‘The Internet of Things' (IoT). 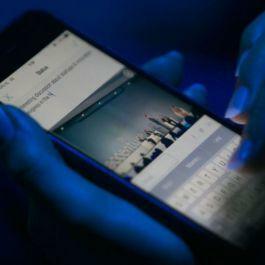 The world is becoming increasingly dependent on digital solutions and everyone and everything is connected through the Internet. This offers great opportunities for governments, businesses and households in everyday life. The digital infrastructures in cities become 'smart'. Examples are smart thermostats, locks and traffic lights that are remotely controlled as well as real-time sharing medical data. Unfortunately, this digitalisation makes our society vulnerable for cybercrime. Lately we have seen many examples in the world, e.g. the massive and widespread cyber attacks in the United States on 21 October 2016. 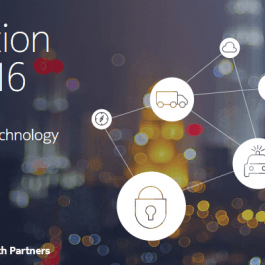 Increasing cyber threats lead to major societal challenges. In some countries, including Japan, the US and Singapore, national security test centers have already been set up. 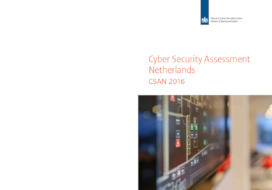 Partly for this reason, the Municipality of The Hague, with financial support from the Rotterdam The Hague Metropolitan Area (MRDH), asked the national security cluster The Hague Security Delta (HSD) and TNO to explore the necessity for a National Cyber Testbed. 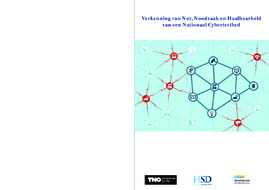 The three parties, KPN, TNO and the Municipality of The Hague, together with The Hague Security Delta, endorse the importance of a National Cyber Testbed. Their expressed commitment is of great importance and in line with the National ‘Cyberplan’ Investment programme and the Narrative of HSD. This also consistent with the International Cyber Strategy that Minister Bert Koenders of Foreign Affairs sent to Dutch parliament on Monday 12 February. Presentation of Outcomes Deputy major of The Hague, Ingrid van Engelshoven, on behalf of the Rotterdam The Hague Metropolitan Area (MRDH), received the report with the outcomes of the investigation on why a National Cyber Testbed would be necessary, what it should look like and how it should be organised and financed. Ingrid van Engelshoven: "We must ensure the security of our digital traffic. For citizens, businesses and governments major stakes are involved. If businesses, governments and research institutions cooperate, we see opportunities to develop a National Cyber Test Centre. This is the first step in this collaboration." KPN sees clear added value in the National Cyber ​​Testbed for increasing the digital security of the Internet of Things. " Joost Farwerck, Member of the Board of KPN, said: "Given the impact on society and especially on smart cities and smart homes, KPN supports the National Cyber ​​Testbed to test smart Internet Of Things (IoT) devices. We will link our national Lora Internet-of-Things network to the National Cyber ​​Testbed in order to test and unlock smart solutions for its users." Annemarie Zielstra "As the Netherlands, we must invest in our knowledge position and in standardisation. It is crucial to invest in knowledge on our own vulnerabilities, the threat landscape and on specific applications to protect ourselves. The National Cyber ​​Testbed will thus take care of an important link within the cybersecurity ecosystem. This will only be successful when government, industry and research institutions join hands." 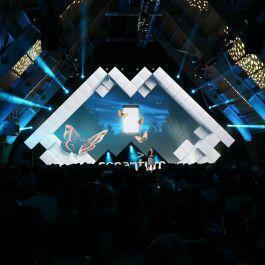 "In our country alone, in the next few years billions of euros will be required for the national digital security," said Richard Franken, Executive Director of HSD. With the start of a National Cyber ​​Testbed for the 'Internet of Things', an important direction can be provided for this spending.